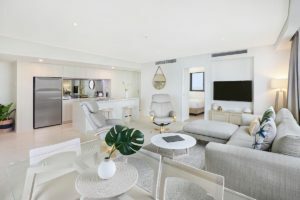 Breeze is one of the newer Mooloolaba luxury beachfront resorts with holiday accommodation on offer. You will enjoy modern apartments that feature luxury decor and furnishings and private balcony with stunning views. The building features a uniquely fluid sculpture, a design concept with sinuous curves reminiscent of coastal beaches and wide estuaries. The alternating waves that form the balconies maximise natural light and expansive views. White marble and Balinese timber detailing in the lobby add a refined quality…a lovely way to be met as you walk into the resort. 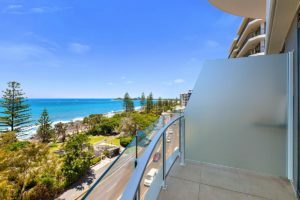 Across the road you will find beautiful Mooloolaba beach. Whether you are exploring the rock pools, walking the sandy beach and swimming in the patrolled zone, there is a lot to love about this Sunshine Coast beach. 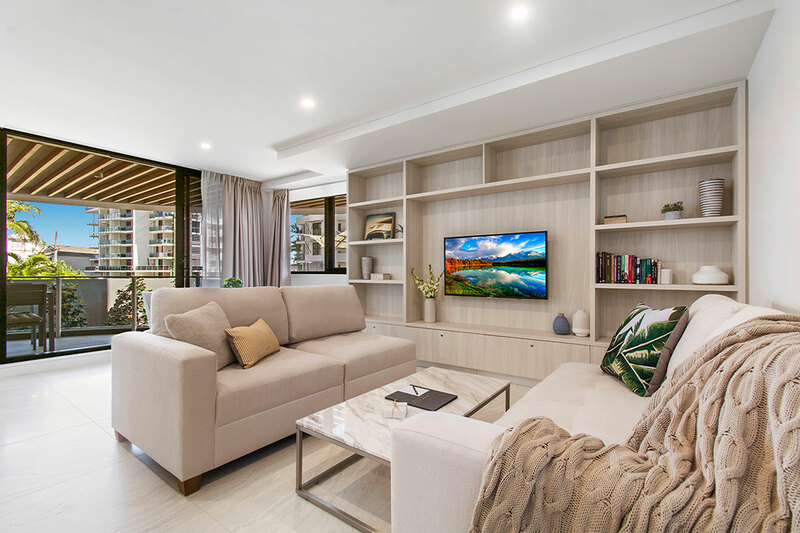 Visitors to Mooloolaba will enjoy more than the beach with Mooloolaba Esplanade home to a range of cafes, coffee shops and restaurants. It has become a shopping destination with a variety of clothing boutiques offering fashions from around the world that appeals to all ages. Here you will also find home wares, gifts, galleries and jewellery stores. Mooloolaba is the ideal location if you are wanting a cup of coffee, a meal, bikini or new outfit. Opposite the Esplanade you will find park lands, playgrounds and walking paths that lead to the Mooloolaba Spit. This picturesque walk hugs the beach foreshore, takes only 20 minutes and is a favourite with locals and visitors. Make you schedule this in for the end of the day to take in a stunning Mooloolaba sunset. 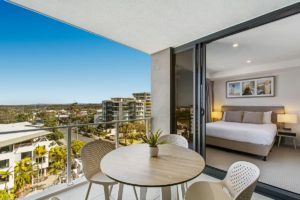 For your next Sunshine Coast getaway, give us a ring at Breeze, a Mooloolaba luxury beachfront resort.